My Face, It’s In A Magazine! More images of the project can be viewed here as well! Ballet Austin Fete-ish Gala supporting artistic programming, arts education. 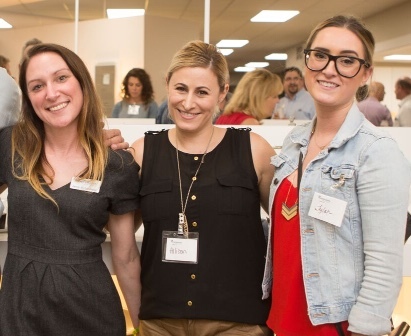 New Milestones Foundation Gala, which raises awareness about mental illness and intellectual and developmental disabilities. Meic-Arte Catrina Ball, which proceeds support the Mexic-Arte Museum’s Education and Outreach Programs and renowned exhibitions. 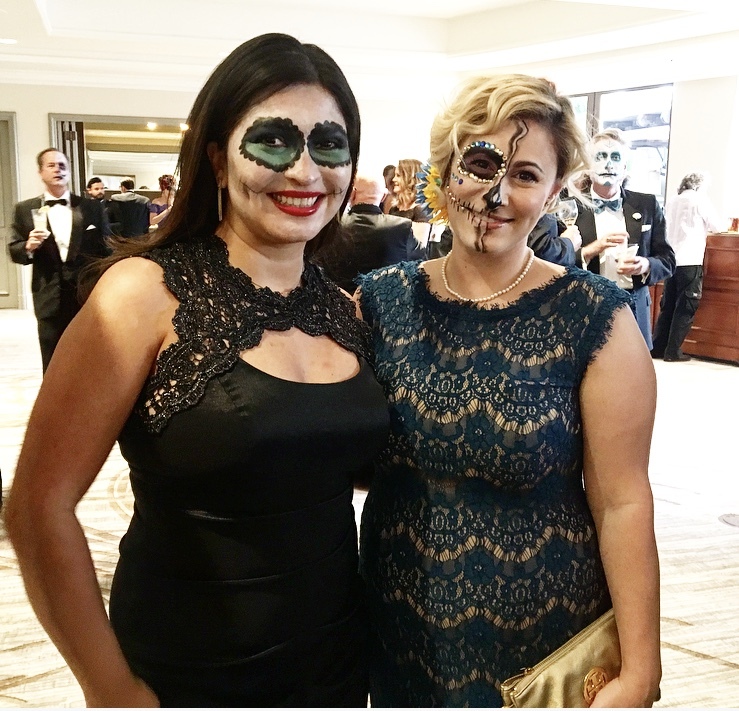 The gala encouraged its attendees to dawn their best Dia De Los Muertos face. 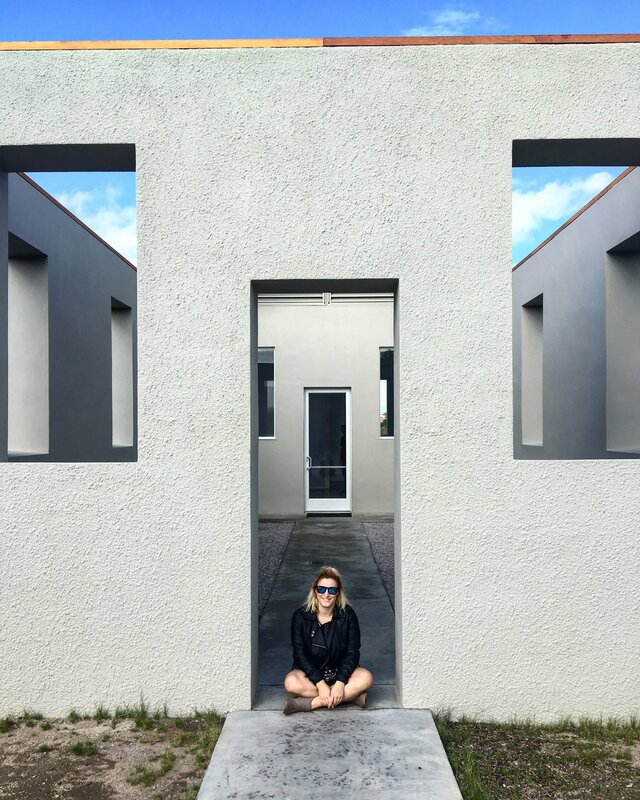 I finally got to check Marfa,Texas off my bucket list. The 2nd weekend of October was the 30th anniversary celebration of the Chinati Foundation. The weather was perfect, the food was delicious and the art was inspiring. 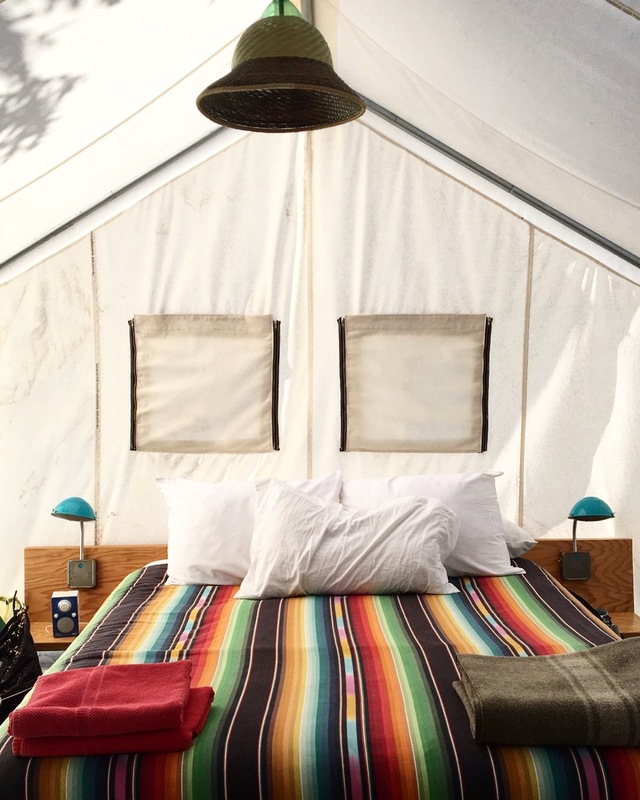 Below is the simple and beautiful tent I got to sleep in at El Cosmico. A what? A Hygge! No, I didn’t make the word up and you can find it in the Danish Dictionary. I learned of this fascinating term while in conversation with a friend. Hygge (pronounced ‘hooga’) roughly translates to the word cozy. Hygge is a term used in and around the holidays that means to create a warm atmosphere and enjoy the good things in life with friends and family. 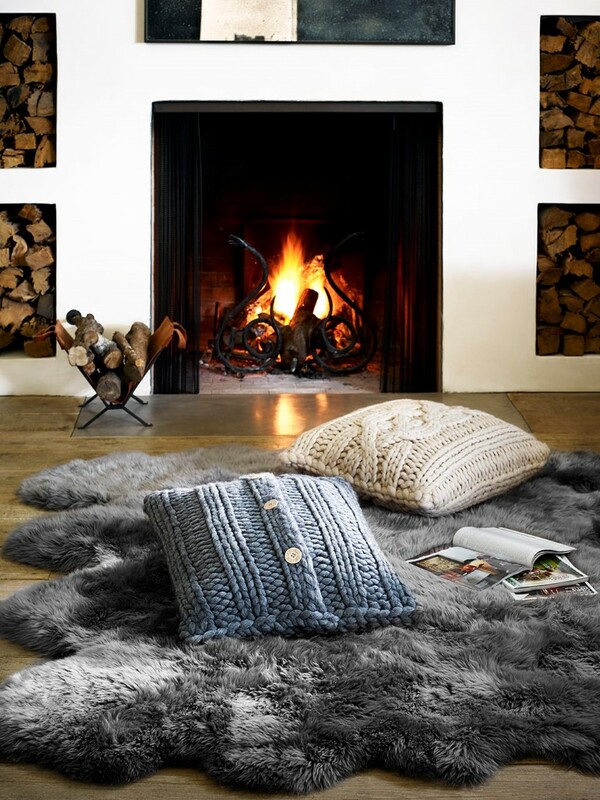 The high season of this stylized look is coming around the bend faster than you can say ‘Hygge’! 1. Less is more: Decorate with small items such as nesting tables instead of a large coffee table. 2. Simple Styling: Carefully select the accessories you bring into your home. 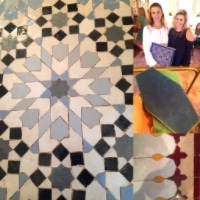 Purchase items that bring meaning into your space. I like decorating with antique and vintage finds that remind me of my travels. 3. Invest in candles: Did you know Danes burn more candles than any other people in Europe. I can get on board with that. I love purchasing new holiday scents to fill the air when I am decorating my space for the long winter haul. Its not close but its not far, my favite candle store is located in the Bishop Arts District of Dallas, called Society. 4. Holiday Hangout: Embrace the cold and fire up that fondue pot. Getting together with your friends and loved ones is one of the most important ways to share in the hygge way of life. Interior Design For Outdoor Living? As an Austin Interior Designer, sometimes we take it outdoors. Your home’s outdoor living space doesn’t have to be of use during the summer only. Here in Austin, there is no reason you can’t enjoy it all year long. All you need to do to be able to enjoy your outdoor living space during the winter months is to add a bit of “warmth.” Below are some useful ideas on how you can keep yourself comfortable when the temperature starts to drop. A very important element to keep in mind for your outdoor living space when temperatures start to drop would be a fireplace. Your fireplace doesn’t have to be built into the interior wall. You can have them placed just about anywhere and finding and creating a location for it isn’t that difficult. You can construct a small outside wall so that you can have your fireplace setup where you want it. 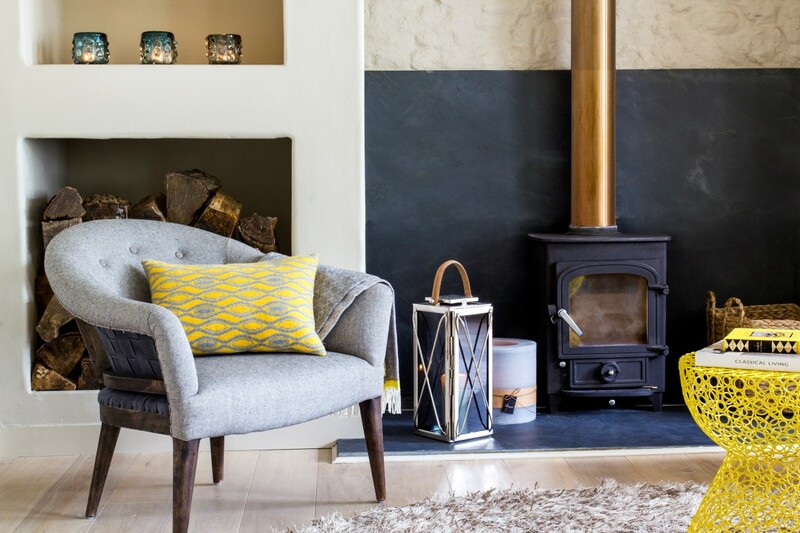 Various styles of “stand alone” fireplaces, like the one shown in the picture below, can be used as well. These don’t involve building with stone or brick and can be very flexible in where they are placed. These are often placed near or under outdoor canopies. They can keep you warm even when the weather becomes quite chilly. If you have ever spent any time around a campfire even when temperatures are quite low, you can remember the warmth and feeling of peace you get just facing the fire and enjoying the company. There’s just something about an open flame that a giant space heater can’t provide. One of the best ways to fend off the cold is with a hot tub. Picture yourself dipped in the hot tub where the water is set at a comfortable temperature while the cold air blows through your hair. There is nothing like being able to take a nice warm “swim” and enjoy the company of family or friends in frigid cold weather. Heat rises and fills up a covered space. 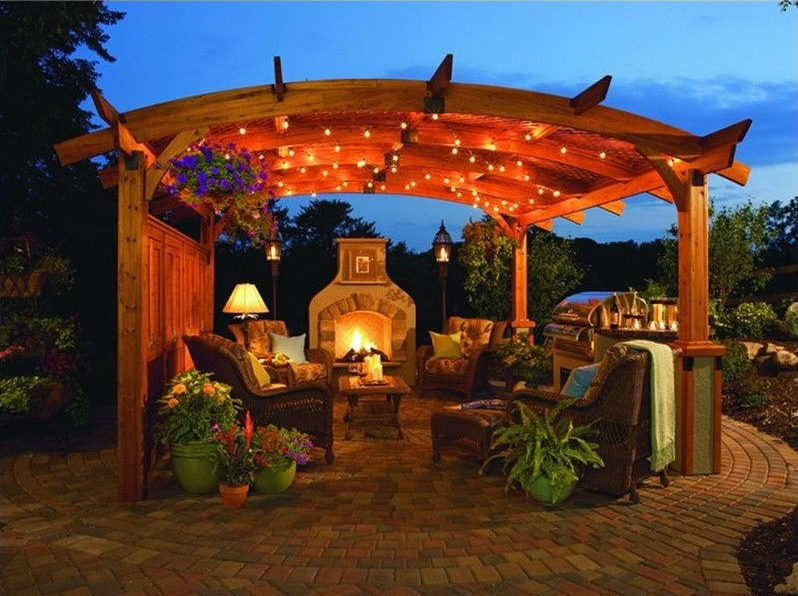 Building or installing a canopy over a place where you have a fireplace or an outdoor heater will help you contain the heat that they produce. When the weather starts getting cold outside, you don’t have to abandon your back porch or patio. Instead, make something that’s going to make you want to go outside no matter the weather. 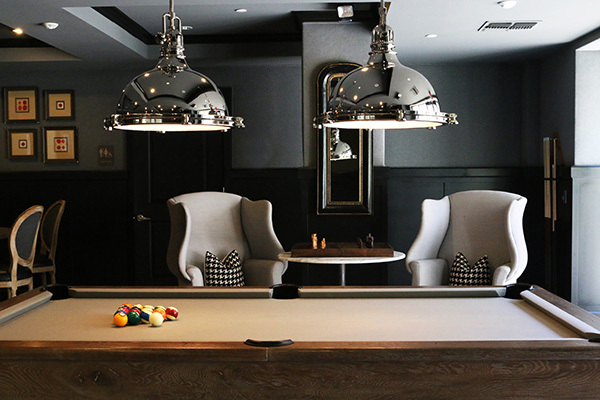 “Interior design” doesn’t just have to be restricted to the inside of your home. 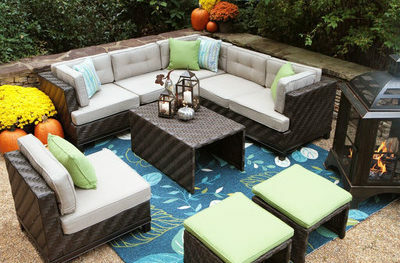 We can help you plan for your outdoor living areas as well. Give me a call and let’s see what we can do together. Stripes can be a very cool thing to add to any type of space. It doesn’t matter if it’s a large or small room, or if you’re planning on putting them on your pillows, ceiling, or wall, a striped pattern can easily add drama and visual intrigue to any interior design style. In addition to that, they also go along well with floral or patterned designs. You can choose to make them as subtle or bold as you like. 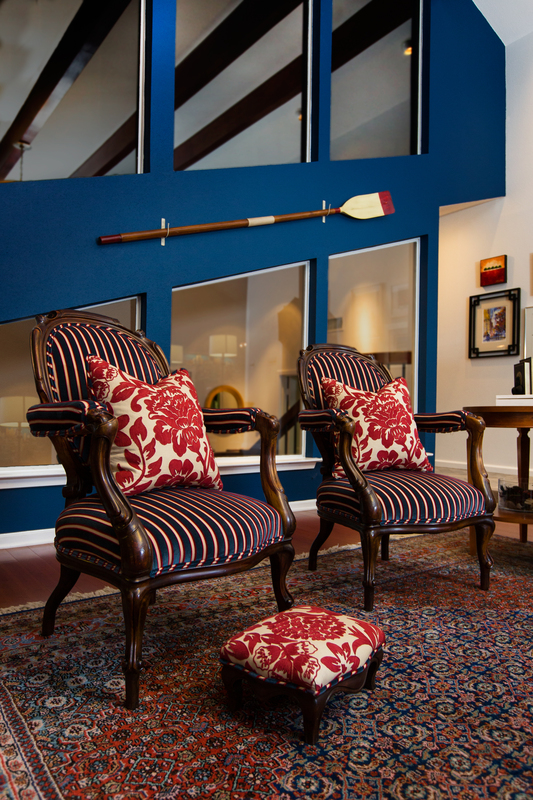 Wide stripes that use contrasting colors are great to use if you want to come up with a fluid-like and dramatic space. They can liven up any space and add to its overall aesthetic whether it be a living room or a transitional space such as your hallway. When you choose to go with black and white stripes or chocolate and white stripes, let them be the focal point of the room. Every room inside the house needs to have a showcase piece or a spotlight and if you’re going to use stripes, they will work perfectly for that role. 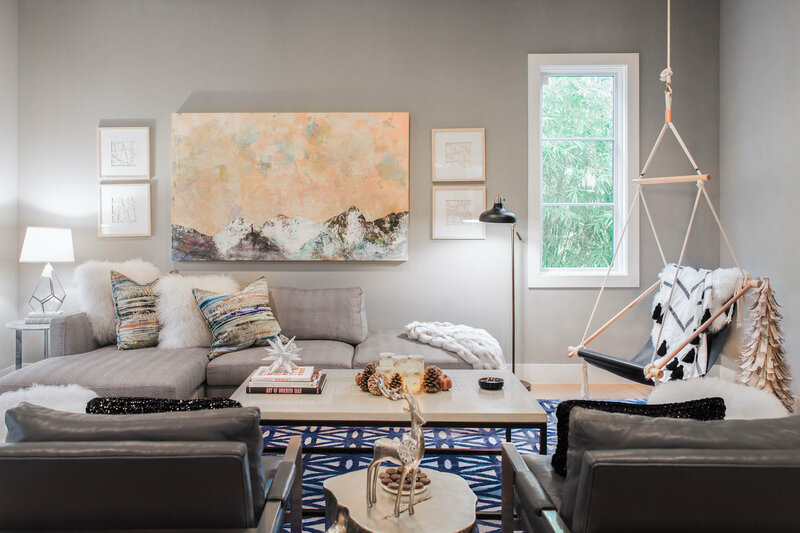 When using these stripes, be sure to keep your accessories and art pieces to a minimum so that they don’t go over them. This way, your stripes can serve as the conversational element of your room. Always remember that when you’re designing with bold stripes, match them with less busy elements so that they can stand apart. Stripes with varying sizes and colors on a wall or surface create an interesting and engaging interior space. In this way, the stripes have different widths and are strategically laid out so they produce a visually appealing piece. When you use different colors in a striped pattern, be sure to use hues that are similar to each other or ones that belong in the same color family. Never use colors that clash against each other or ones that are either all dark or all light. You don’t always make stripes as the dominant element in a room. You can also use them more subtly but still let them deliver a striking response. Whether you use them on a vase, chair, pillow, or rug, stripes still work well in making a statement and in complimenting other textures and patterns inside a room. Yup, you read that right. You can use stripes on your ceiling as well and that can be a very interesting concept. 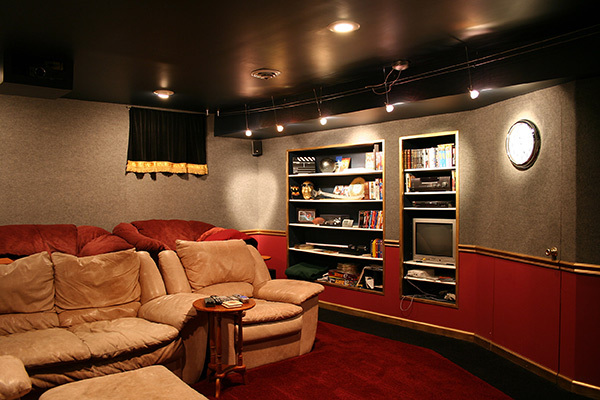 You don’t always have to paint your ceiling white. You can use a fun pattern, a wide stripe, or a bold color to add a unique and unexpected element to your ceiling. If you’re thinking of doing some remodeling for your home this year, the kitchen is a good place to start. For the year 2016, the emphasis is placed on simplicity and aims to produce a calm-looking kitchen at first glance but will offer various design surprises when you take a much closer look. Below are some great kitchen ideas that you can consider to use for your home improvement projects this year. Kitchens that contain a lot of flourishes are slowly going out of style and are making way for clean and simple design trends. 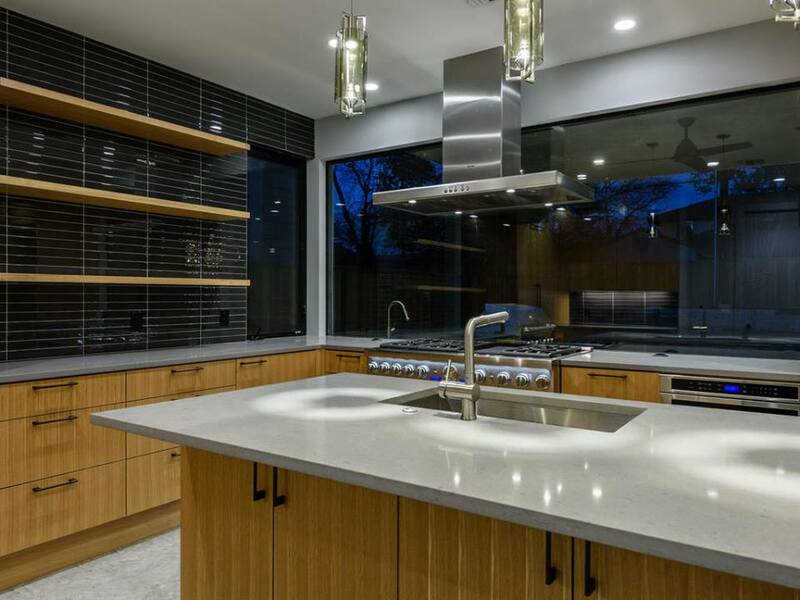 With this, simple cabinets and backsplashes are paired with understated colors in order to produce a zen kitchen look. However, this doesn’t mean that you’re no longer going to use accent pieces. Placing a butcher block table at the center of your kitchen or using a brightly painted hood over the range are just two of the ways that you can add a pop to a more monochromatic concept. 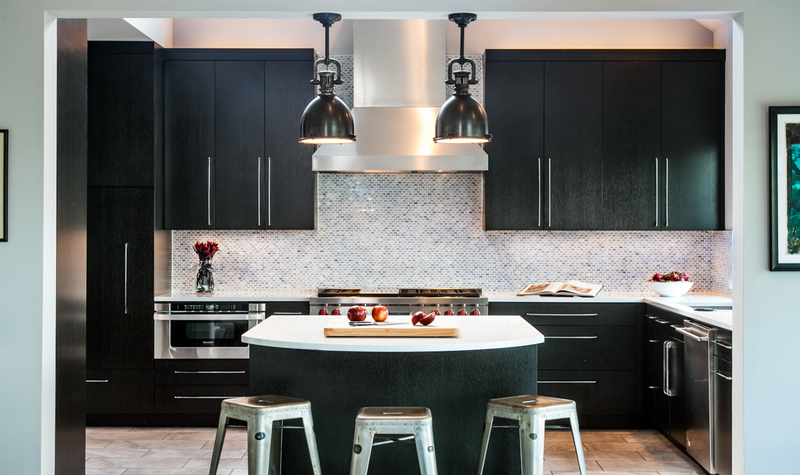 Neutral colors such as black, dark brown, taupe, and greige are the top choices for kitchen trends this 2016. Treated wood works well as cabinet door accents that incorporate neutral colors with whites and grays that you’ll find on the walls. You can use light blue or glass tile as your backsplash for a beautiful accent that will catch the light and will open up the your kitchen space. Even though kitchen trends for 2016 go for a much simpler look they tend make up for it by putting more focus on functionality. Using space in much more intelligent ways is now trendier than ever because it saves you a lot of hassle and allows you to clean up any clutter hanging around your kitchen. Some of the top trends this year include new uses for drawers, storage underneath seats and tables, and new places where you can put or hang your utensils. Square and vertical cabinets have long been the most commonly used types of cabinets in the kitchen. However, this year horizontal cabinets are slowly taking off because they give more sideways space. These types of cabinets are often designed to swing open from the bottom and provide a much wider range of space. Even though they don’t work well in all types of spaces, they offer unique organizational options such as interior spice racks. With the dawn of refrigerators that are designed to connect to the internet and the presence of apps for about any type of cooking you want to do, bringing in and connecting your devices inside your kitchen has now become a trend. We can surely expect to see cabinets and shelves that will incorporate tablet stands as well as wires that are hidden from the kitchen mess but are convenient enough to allow you to easily connect your wired or cabled devices.